Make standard gingerbread cookies with drizzled icing be placed as seen in the picture above. Use candy for eye: M&M’s, rock candy etc. or color icing and make dots for the eyes. 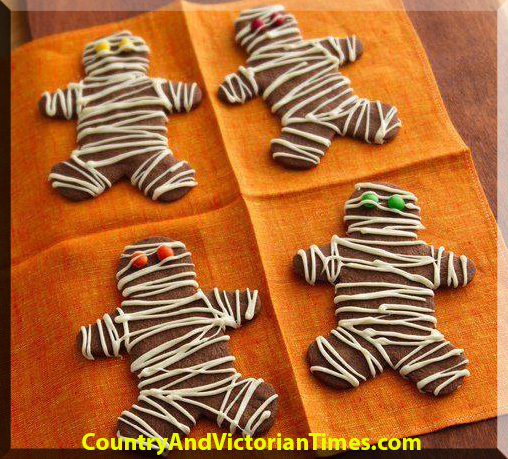 This entry was posted in Recipes, ~Holiday, ~Party and tagged cookie, gingerbread, man, mummy, treat, trick, trick-or-treat, ~Halloween, ~Party. Bookmark the permalink.